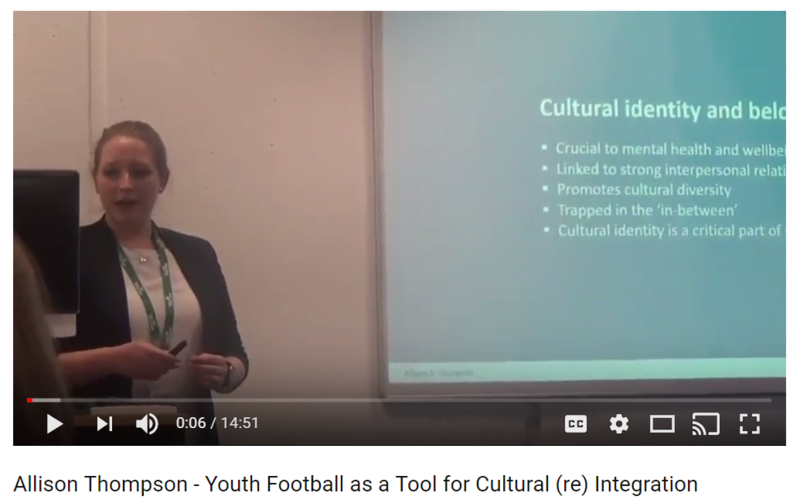 Video of Allison Thompson (International Academy Berlin / Institute Heritage Studies) delivering her presentation at the Football, Politics and Popular Culture conference, Limerick (2017). various facets that must be considered, such as rule changes and an emphasis on learning rather than competition. Furthermore, I will take a critical look at existing initiatives geared towards youth who have experienced trauma and make suggestions as to how football could be used in the future. Brandenburg University of Technology where her thesis offered a reconceptualization of sport for the purpose of cultural development. Interested in using sports for education and social change, Allison has previously worked for America Scores Boston and streetfootballworld. Previous Football’s TV billions are set to rise, but is the game about to eat itself?